The percent of accident claims Pets Best Pet Insurance receives during the summer months increases as the weather becomes warmer. This trend has a simple explanation that many of us can relate to, we like being outside in the summer! 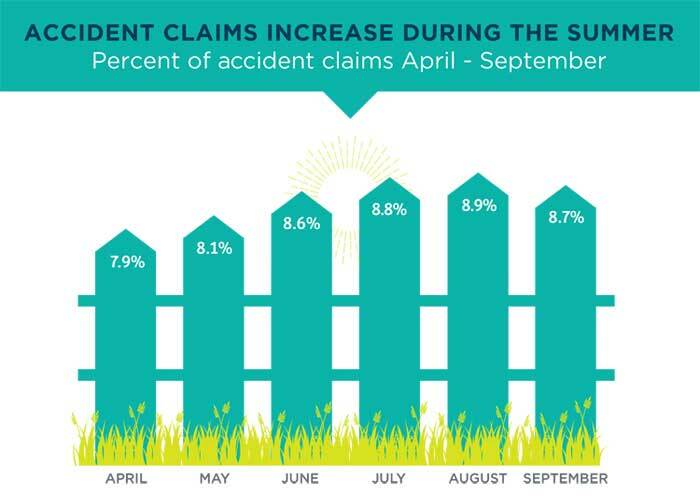 Accident claims from summer injuries often begin to rise in April and peak in August. These claims then decrease in September at the end of the summer season. We’re more active with our pets during the summer so the likelihood of an accident or injury naturally increases. Whether you enjoy camping, water sports, road trips, or barbecues at a friends house, our pets are there for it all. This can sometimes lead your dog finding himself in precarious situations, resulting in an accidental injury. While your kitty might not accompany you on your next adventure, outdoor cats or those indoor felines that enjoy the summer weather may find themselves outside more often in the summer months. This can land them in similar situations that expose them to accidental injuries. Preparing for unexpected vet costs with pet insurance can be a financial lifesaver this summer season. The average summer accident claim ranges from $535-$590. One accident alone could cost you upwards of $700 at the veterinarian. Pet insurance can help take the sting out of expensive veterinary bills so that your summertime fun isn’t squashed financially. Pet parents are finding that pet insurance can help with unexpected vet bills. 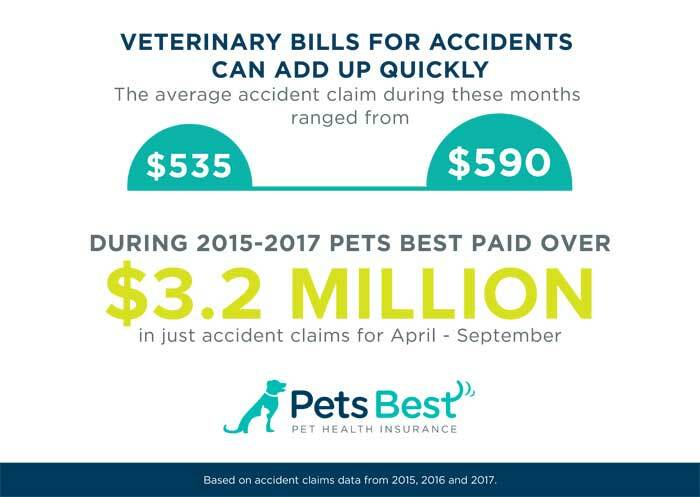 Pets Best paid over $3.2 million in pet insurance claims from April-September between 2015 and 2017, just for accidents. That comes out to over $1.06 million paid per year for accident claims! The key to choosing a pet insurance plan for protecting your pet from summertime accidents comes down to understanding pet insurance coverage and deciding what fits your needs.